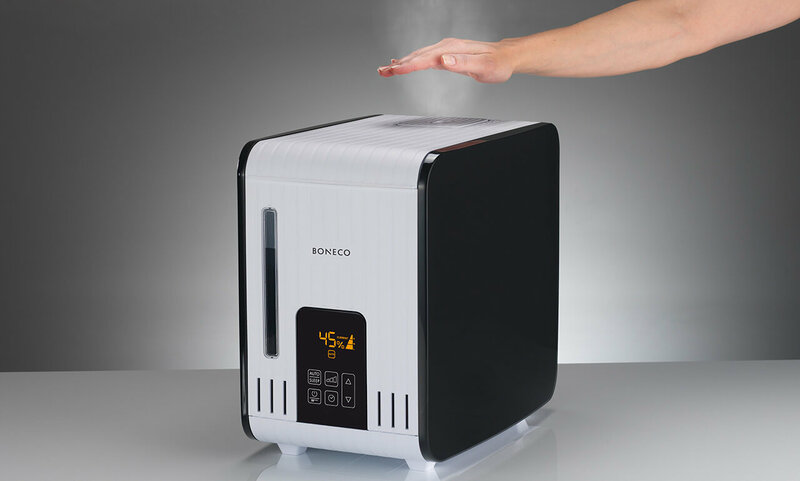 Steam humidifier, also known as truesteam humidifier or vaporize humidifer, is a type of warm mist humidifier, but warm mist humidifier differs from cool mist humidifier both in how it operates and how it performs. While choosing between a steam humidifier and another type of humidifier is often a matter of preference, there are some considerations that may make a steam humidifier a better choice for you. Steam humidifiers use simple technology—all it is a reservoir with a heating element. Water is boiled and turned into a steam, which is dispersed into the air as warm water vapor. 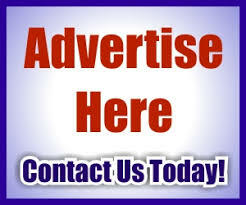 Vaporizers and steam humidifiers are very inexpensive, especially when compared to ultrasonic humidifiers. Furthermore, since there are no moving parts or fans, they are extremely quiet. Depending on your preference, you may also enjoy the warm mist over the cool mist. Warm mist may help relieve congestion or other respiratory ailments. Some warm mist humidifiers allow you to add a medicinal inhalant to the unit which further helps relieve colds, flus and sinus problems. Lastly, because steam humidifiers boil the water before dispersing it, they effectively eliminate most of the bacteria that may have been present in the water. Steam humidifiers may pose a safety hazard due to the heating element. 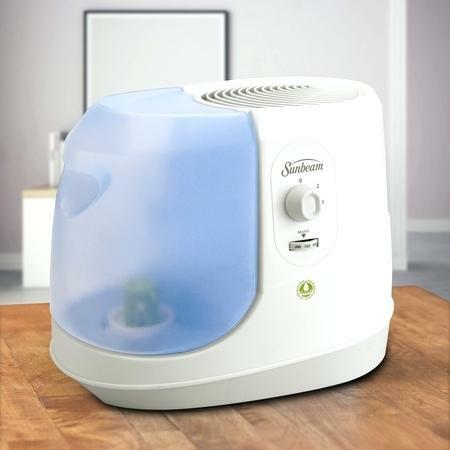 Use caution when operating steam humidifiers around small children and shop for a steam humidifier which has an anti-scalding device. Also, while steam humidifiers are effective in reducing microorganisms, they do not remove minerals from the water. You may still have some scaling or calcium deposits in your humidifier. Regular cleaning and maintenance will remedy this. Lastly, steam humidifiers have significantly less output than comparably priced cool mist humidifiers. For larger rooms, an impeller, ultrasonic or evaporative wick humidifier is recommended. Steam humidifiers have shelf appeal due to the promise of warm mist—but the differences between a warm mist humidifier and cool mist humidifier go deeper than the temperature of the water vapor. For this reason, we recommend reading through all of our articles on the different types of humidifiers. 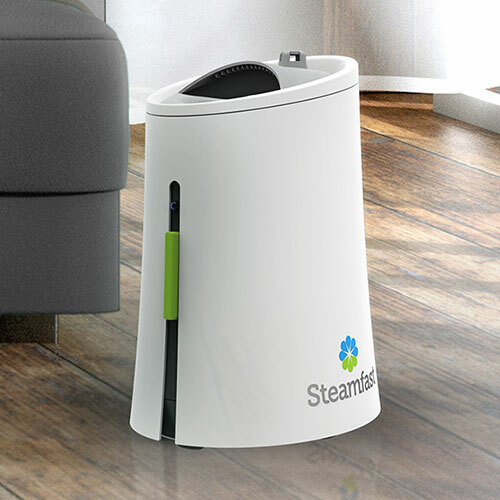 Steam humidifiers are perfect for small rooms and for combating seasonal colds and flus. However, you should also note that raising the humidity in a room—regardless of whether it’s via cool or warm mist—will have the net effect of making the room feel warmer due to the higher humidity. Ultrasonic humidifiers are a type of cool mist humidifier and are the newest of the established humidifier technologies. Ultrasonic humidifiers are often touted for their quiet operations and low energy consumption. But before you decide an ultrasonic humidifier is right for you, it’s best to learn a bit more about how they work. Ultrasonic humidifiers create water vapor by sending high frequency vibrations into the reservoir via a vibrating diaphragm. While this sounds like it may be a very noisy mechanism, most ultrasonic humidifiers are advertised as virtually silent, since the vibrations are beyond the range of human perception. Ultrasonic humidifiers are most similar to impeller humidifiers. Ultrasonic humidifiers are very quiet and use very little electricity. Furthermore, since there is no heating element, there is no danger of scalding. Ultrasonic humidifiers are also relatively easy to clean and maintain, as there are few moving parts to remove or disassemble. Like an impeller humidifier, ultrasonic humidifiers do not selectively vaporizer water. That is, any impurities, minerals, pathogens, or microorganisms present in the reservoir water will also be dispersed into the air. This may pose health risks, as noted by the EPA, since these substances may be harmful if inhaled. Furthermore, ultrasonic humidifiers sometimes leave a “white dust” on surfaces, which consist of accumulated mineral and microorganism material. Ultrasonic humidifiers have some inherent drawbacks, but they can be mitigated through a few optional features. The principle concern is the potential for pathogens being dispersed along with the water vapor. For this reason, many higher end ultrasonic humidifiers include ultraviolet lights that eliminate bacteria in the reservoir. Alternately, you can clean the tank periodically to prevent contamination. Also, some ultrasonic humidifiers use cartridges or filters to remove minerals. In lieu of these features, you can use distilled water to prevent issues that arise from using hard tap water in your humidifier. Ultrasonic humidifiers are often touted as the latest and greatest humidifier technology on the market. However, due to the issues arising from microorganism and mineral matter in the water vapor, it’s important to look for the key features mentioned above to ensure that your humidifier is safe and effective for everyday use. In spite of these potential drawbacks, ultrasonic humidifiers are very reliable and operate very quietly, making them a good choice for a basic home humidifier. PrevWhy so many top philanthropists in the tech sector?